Tie Down Kit - 4 Anchors 30"
Keep your greenhouse safe in strong wind with this easy-to-install kit. 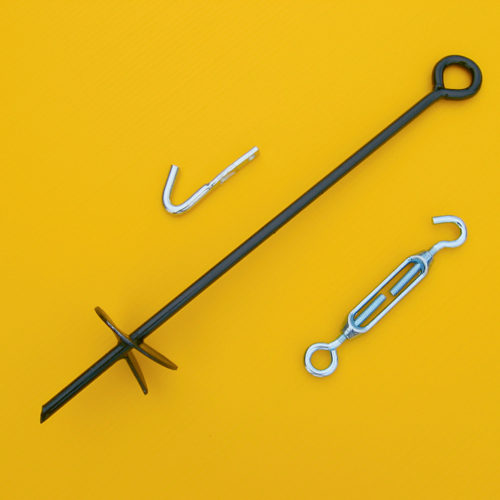 Bury the 30" tie-down anchors next to your greenhouse and attach the J-hook to the steel greenhouse frame. Turnbuckles connect the frame to the anchor. Disconnects easily if you want to move your greenhouse. Use four anchors for every 8' section. Includes 4 anchors and hardware.